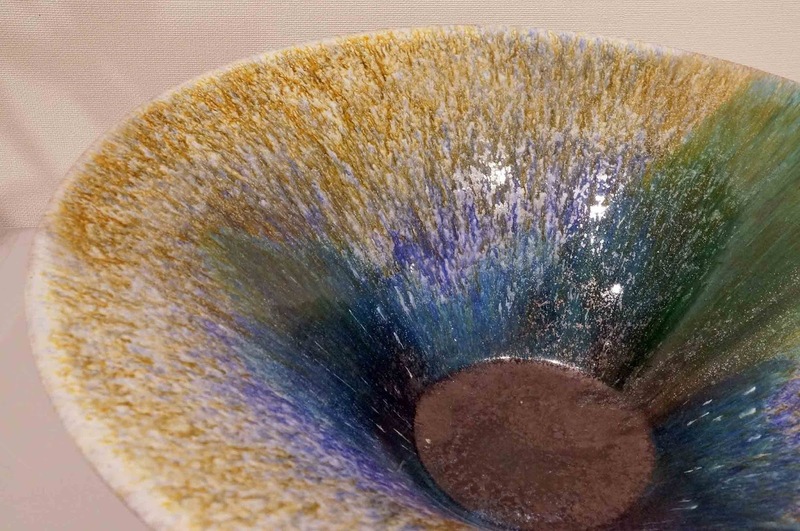 The bonsai potter, Hidemi Kataoka’s personal exhibition is held from May 31 to June 5 at the gallery of Noritake-no-mori in Nagoya. 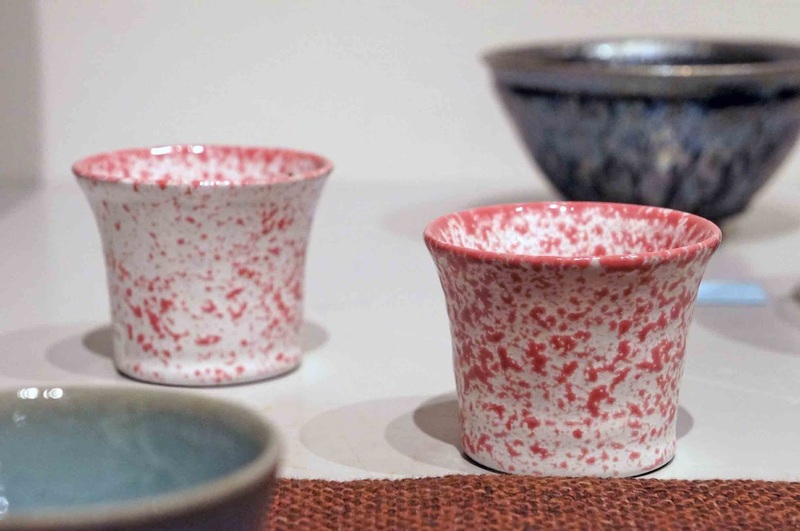 He, the fifth generation in a family of potters in Tokoname, has worked on ceramics under his professional name Shuuhou since 1992, and was certified a “Master of Traditional Craftsman” in 2005. 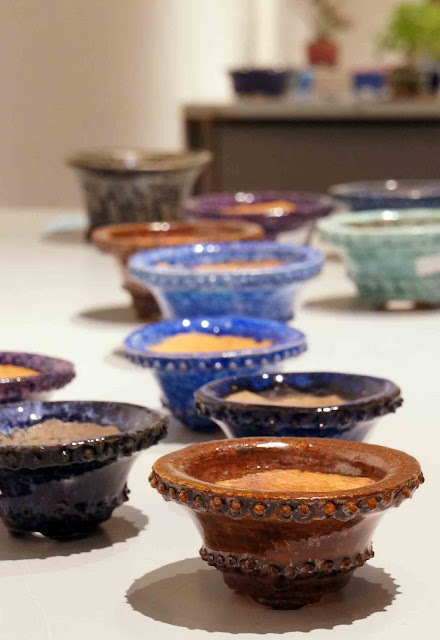 Since 2013, he has held his bonsai pots exhibition at the gallery of Noritake-no-mori every year. 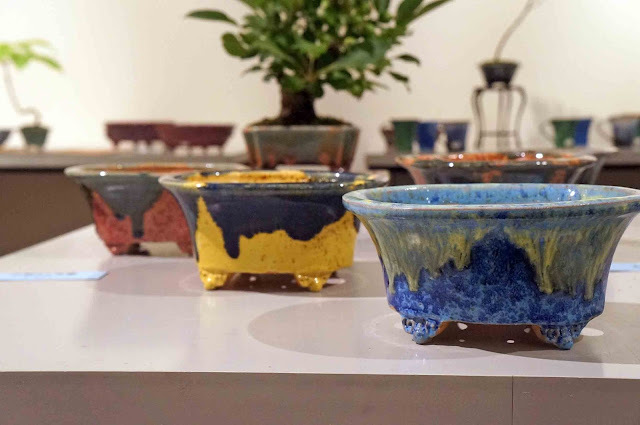 Though lots of exhibitions displaying ceramic tableware are held here and there, events featuring bonsai pots are rare, so I, a bonsai pots enthusiast’ come to see his exhibition every year. His exhibition has not only his bonsai pots, but also some beautiful bonsai which are put into his pots by his friend, bonsai artist, Mr. Koji Nagasawa. It seems that they are displayed to encourage visitors to get his pots to enjoy planting. 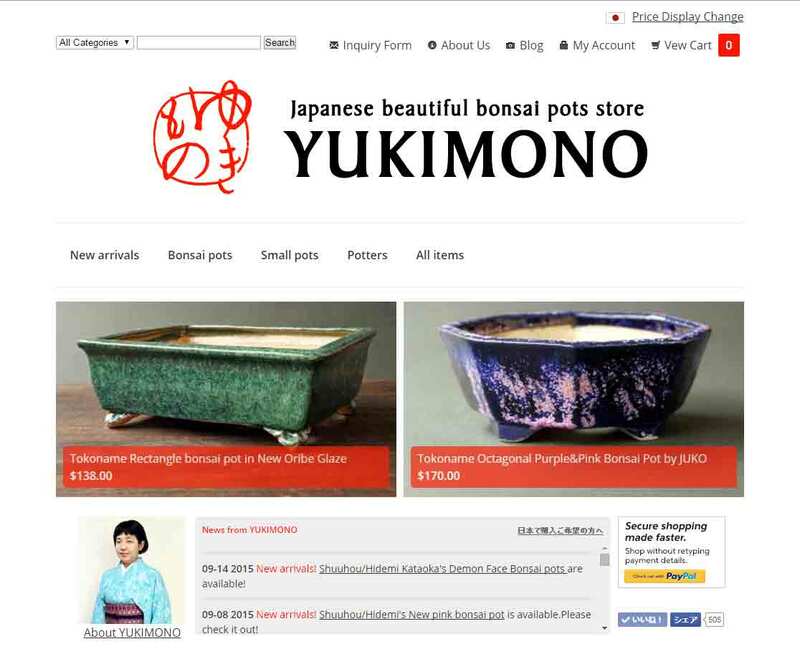 Obviously that is succeeding as fascinating visitors, such as me, saw bonsai displaying there and purchased many of his pots when I visited for the first time. Hidemi-san(the rignt side) and bonsai master, Nagasawa-san. 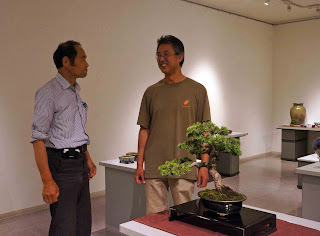 Happily, I had a chance to take part in his exhibition by preparing and displaying bonsai with my bonsai master this time, and it was, and is, a great honor for me. 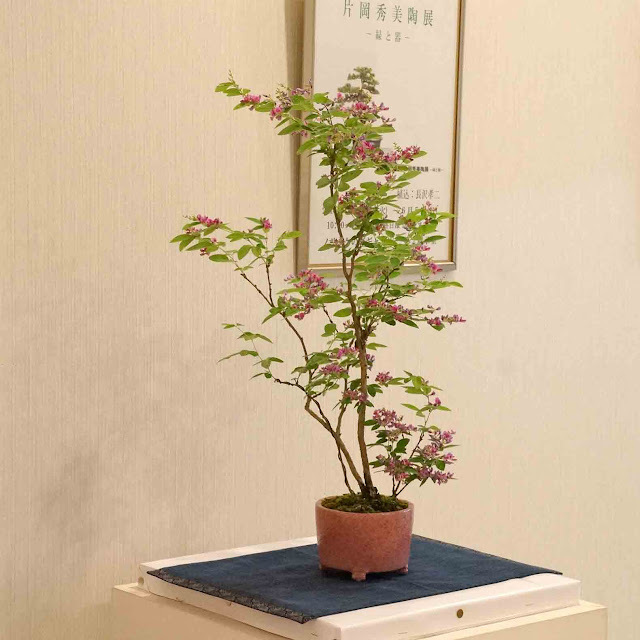 About 2 weeks before his exhibition, my bonsai master and I began preparing for making bonsai. 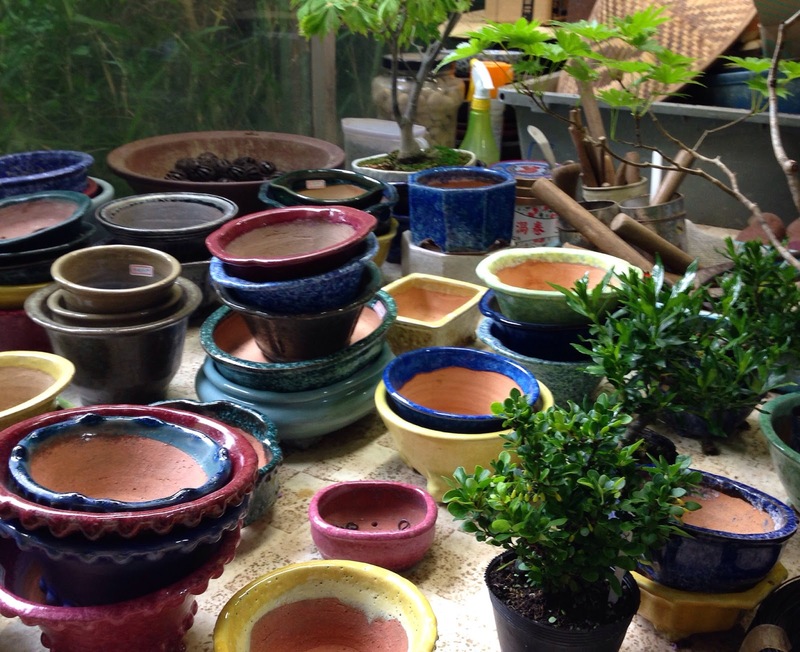 We visited some nurseries, picked up nice trees that would suit Hidemi’s pots, thought about nice combinations of trees and his pots, and put them into the pots. It was a great joy for me to ponder what tree/plant would be the most attractive to show in his pot. Also, it was obviously a precious opportunity to satisfy my primary concern of what the best combination of plants and bonsai pots are. 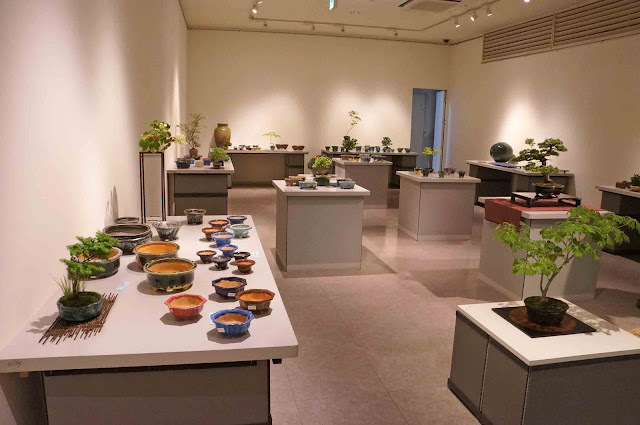 If you are interested in bonsai or bonsai pots, and fortunate to be staying in Nagoya this weekend, I would advise you to see his exhibition. Of course the admission is free.